Dog Bites and Children | The Ashmore Law Firm, P.C. While dog bites are a serious problem for people of all ages, it's estimated that more than 4.7 million people are bitten each year— with children being the most vulnerable among us. According to the Centers for Disease Control and Prevention (CDC), the rate of dog bite-related injuries is highest for children between the ages of 5 and 9. 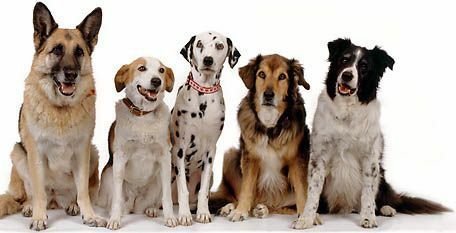 Consult with a professional such as a veterinarian or responsible breeder to learn about breeds of dogs that might be a good fit for your family. Avoid dogs with histories of aggression if you have children. Hold off on acquiring a dog if you sense that a child is fearful or apprehensive about it. Try to spend time with a dog before buying or adopting one and use caution when bringing a dog into the home of an infant or toddler. Ensure your dog is spayed or neutered, which can help reduce aggressive tendencies. Avoid playing aggressive, rough games with your dog. Immediately seek professional advice from a veterinarian or animal behaviorist if the dog becomes aggressive. A little planning and preparation can help reduce the chances of a child being bitten. If you or a family memeber are bitten by a dog and need medical attention, be sure to contact a personal injury attorney to discuss your options.